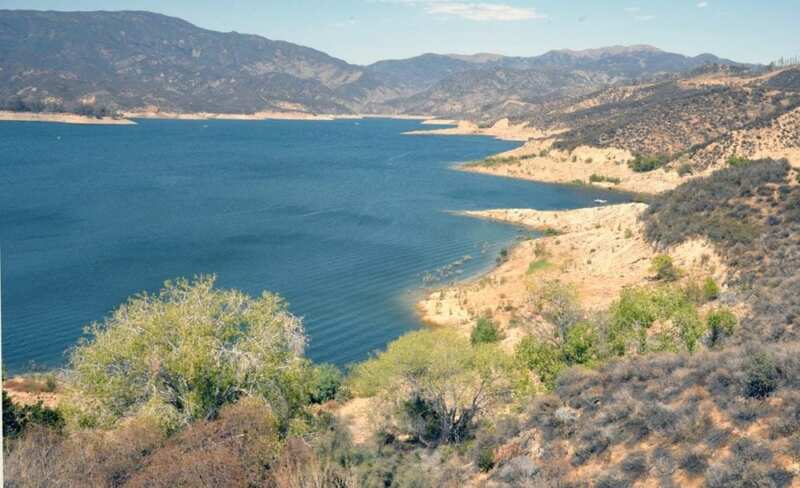 Castaic Lake’s water levels are trending toward the healthier side of the spectrum, according to the state’s online reservoir monitor. As of Sunday, storage levels at the man-made reservoir were holding steady at 65 percent of total water capacity. 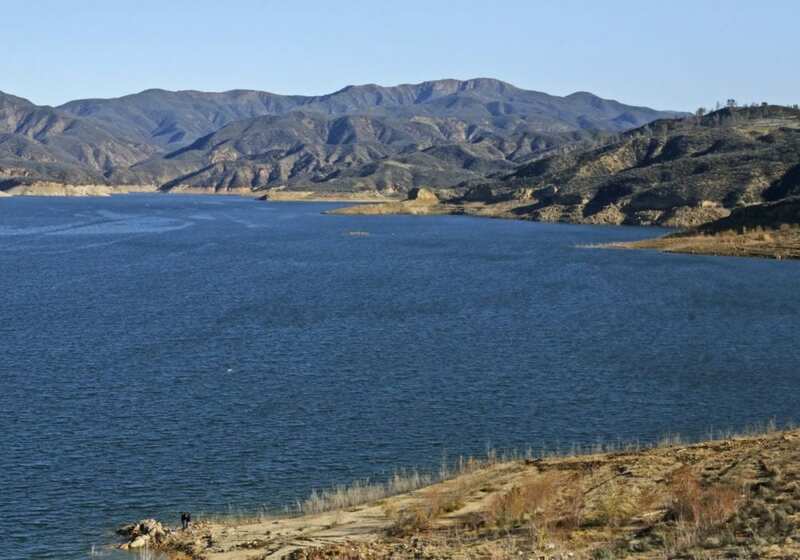 At its fullest, Castaic Lake can hold 325,000 acre-feet. Data shows storage levels are trending up and in the opposite direction of this time last year. Between Jan. 1 and Mar. 1, 2016, the lake lost 50,000 acre-feet. Levels rose from 175,000 acre-feet to 212,000 acre-feet in the first two weeks of 2017, netting a total gain of 37,000 acre-feet. A trip to the lake Monday supported these figures. Water was plenty and stretched from bank to bank. Just one year ago, the shores had expanded and revealed an expanse of sandy brown clay. Large fissures had spread throughout the hardened brown soil then baked by sunlight. 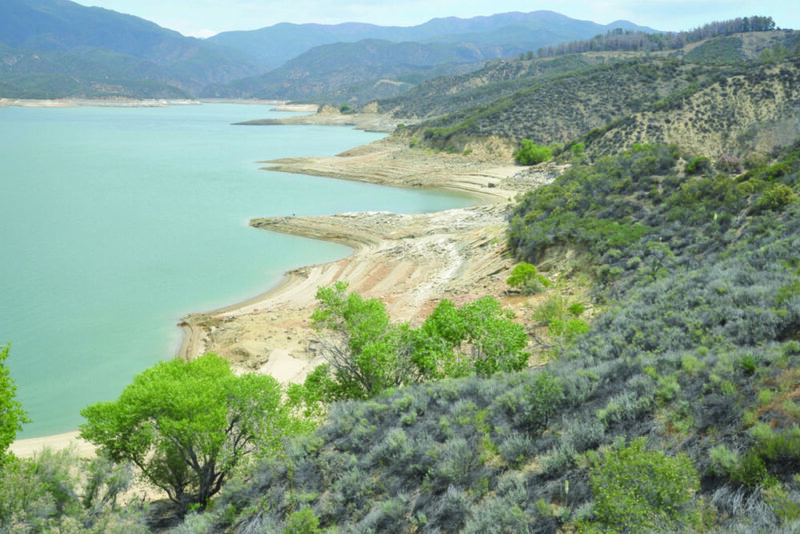 A plot twist in the latest act of the saga that is the California drought changed much of the landscape at the 45-year-old lake. Forecasters have all but thrown the rule book out this La Nina season, initially expecting 2017 to be a cold and dry continuation of the state’s five-year drought. Apparently Mother Nature had different plans. Rain gauges at the Del Valle Station in Val Verde have topped out at 7.83 inches of precipitation accumulated between Oct. 1, 2016 and Jan. 16, 2017, earning the title of the wettest December since 2005. In one month, rain and snow pummeled much of Northern California out of the drought. The rebound began the week of Oct. 18, with the 7.77 percent of the state exiting the drought. 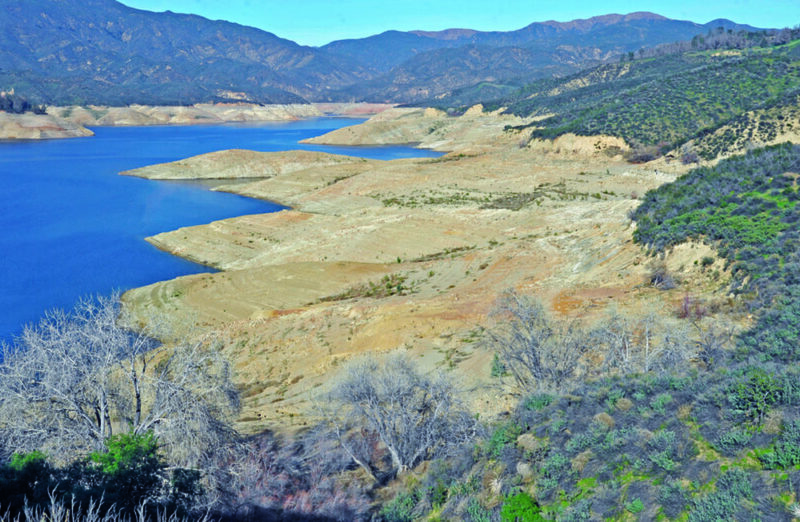 As of Jan. 16, 41 percent of California was no longer in a drought. 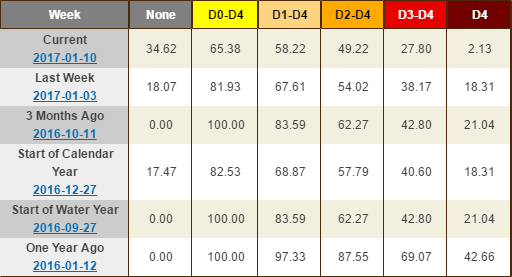 However, a little more than seven percent of the state was abnormally dry but did not meet drought criteria. More rain is in the forecast for this week, due to begin Thursday. 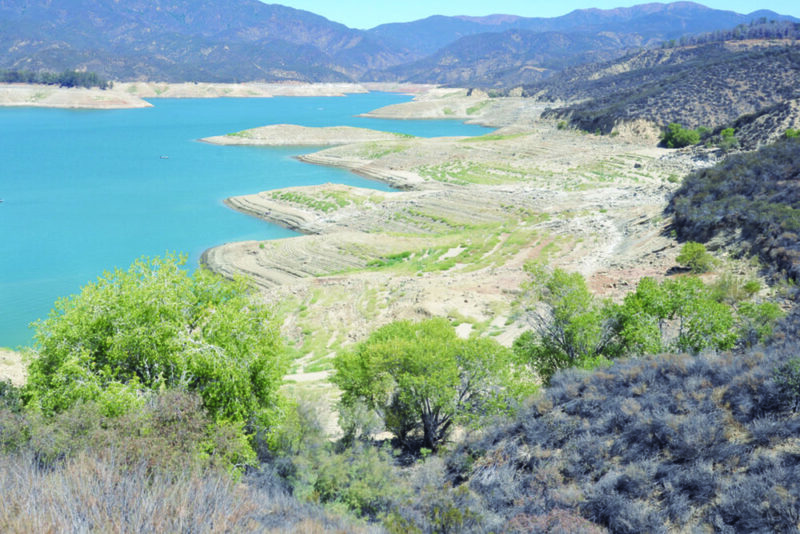 Castaic Lake levels in May 2014. 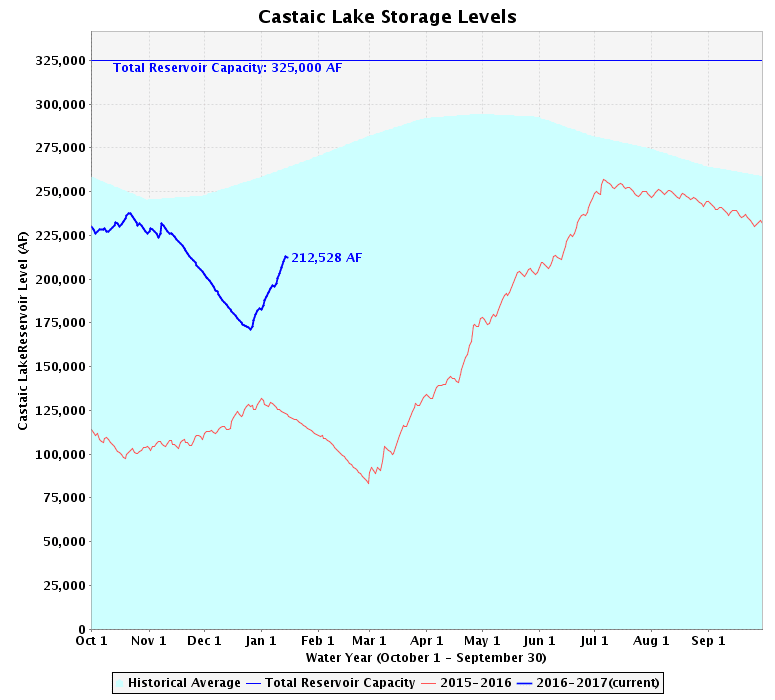 Castaic Lake levels in Sept. 2014.